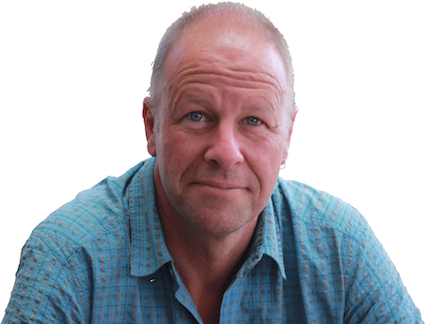 Dave is the author of the book Hope Beyond Cure. In December 2011 Dave was diagnosed with lung cancer. To be specific—stage 4 non-small cell lung cancer. The cancer was considered inoperable and incurable. Dave has responded well to three weekly chemotherapy treatment and is currently considered to be NED (no evidence of disease). This site provides a link to the publisher’s website and online store if you are interested in purchasing the book. You will find many hope-filled articles reflecting on cancer, life and faith. You can scroll down to the bottom to follow this journey from the beginning. There are links to a number of other resources designed to inform and encourage people struggling on the journey with cancer. 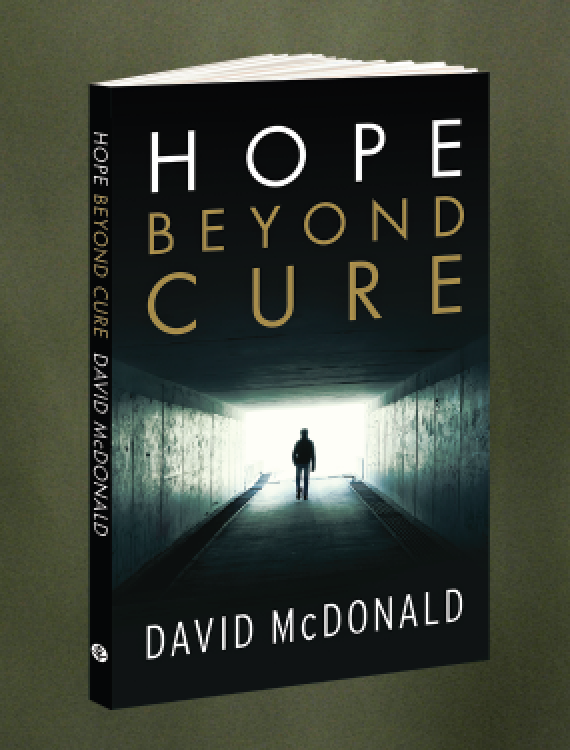 Dave finds great encouragement in many different sources of hope, but ultimately in the hope that only God can offer—a hope beyond cure, beyond death itself, for all eternity. and a hope that lasts. Dr. Block is the Gunther H. Knoedler Professor of Old Testament at Wheaton College. You can read his complete bio here. Two months ago we were shocked by the diagnosis of our thirteen-year old grandson’s extreme headaches. Yes, we heard the dreaded “C” word; he has brain cancer. Overnight our lives were turned inside out and upside down, and the once-in-a-lifetime Christmas on the island of Maui with our children and grandchildren was out the window. By God’s grace we have enjoyed a relatively tranquil life, at least so far as health issues are concerned. No one warned us of this, and we certainly did not ask for it, but suddenly the theories we had espoused in trying to help others were put to a test at home. In these days we have been encouraged not only by the assurances of the prayers of God’s people—thanks to social media these messages have come from around the world—but also by God’s gracious response. God has been very near to all of us, but especially to Brennig, his siblings and his parents. A month after Brennig’s initial surgery I flew to Augusta to be with him in the hospital while he endured his third round of chemotherapy. The first day he was fine—good enough to beat me in “Settlers of Catan” and “Farkle.” The second day was different, as the poisons the physicians pumped into his system took their nasty effect. My grandson wanted me to be in the room with him, but he did not want us to make any noise. While at his side, and since I have returned home, I have had a lot of time to reflect on this experience. It has been eye-opening to me, and taught this Old Testament scholar a host of lessons. First, my eyes have been opened to the providence of pain. Since our expulsion from the Garden of Eden (Genesis 3), we have tended to view pain as a curse. We do all we can to avoid it and in our context to deaden it with pain-killers. This experience has reminded me that we need a whole new theology of pain. Pain is a gracious gift of God to be received with gratitude because it signals to us that something is wrong. Without our grandson’s excruciating head-aches no one would have known that inside his skull a vicious cancer had taken root and grown so large that it cut off the passage of vital fluids to the spinal cord. The pressure inside his head was the voice of God telling him and his parents that something needed attention. At the same time, it was a reminder to us that the entire world suffers the effects of sin. Although we sometimes bring trouble on ourselves with our misbehavior, often innocent victims are casualties of the crossfire. Second, my eyes have been opened to the wonders of the human body. After contemplating how “fearfully and wonderfully” a fetus develops within a mother’s womb, in Psalm 139:13–18 the psalmist breaks out in a doxology of praise to the Creator. But it is not only the way the body is formed that makes our jaws drop; it is also how it works. How is it that when a person is unable to take food into the body through the stomach, the body can be nourished by means of a pin prick and a tiny tube in the arm? Indeed, as the LORD reminded Israel, “the life of all flesh is in the blood” (Lev 17:11) While physicians and biologists have come a long way in figuring out how the human body works, as someone outside those fields, I never cease to be amazed. Not only is every cell in the human body specially composed to function, but it must also function in harmony with all the other cells in the body. Behind the form of every human being—actually behind the form of every living and inanimate thing, is an amazing God. Third, my eyes have been opened to the importance of family and community. We have been blessed by being able to participate in our children’s and grandchildren’s pain. In our age, when we observe so many who lack the support of physical kin and of the broader spiritual household of faith, we may not take this for granted. God has created the family structure not only that we may celebrate together at festive times—like Thanksgiving and Christmas—but also that we might be there to hold others’ hands as they encounter grief, or that they might hold our hands when disaster strikes us. It was a privilege to be a family in the hospital room, to let people see us laugh, sigh, inquire, grieve, and weep together. My heart goes out to those for whom this is not so. But beyond the immediate family, what a joy it was to see friends show up unannounced, just to be there for our kids. True friends may not be able to verbalize the answers for someone else’s problems, but by their presence they are the wings of God to those in need (Ruth 2:12). Fourth, my eyes have been opened to the common grace of God enabling human beings to function as his image. According to Genesis 1–2, governing the world on God’s behalf is a major part of our mandate. This involves not only exercising godly authority over God’s earth, but also learning how the world works. Again as outsiders to the medical and anatomical field, I am amazed by the skill and wisdom of the medical staff attending to our grandson. How were they able to diagnose his ailment so quickly and so accurately? How did scientists and chemists and physicians figure out the formulas for the drugs (etoposide and carboplatin) that work for this particular malady? We may take none of this for granted. Apart from divine grace our diagnoses would always be wrong, and our solutions would always fail. But the God who has created the world and the principles by which it operates has also opened the eyes of human beings to recognize that order and to harness this knowledge for the advance of medicine. Above and beyond our wonder over the physical body, we have been amazed by the emotional and psychological resilience of a thirteen year old. Brennig’s suffering from his therapy has been different but just as intense as the pain of the original malady, and he could be sitting on the ash heap bitterly bemoaning his fate. But we sense no bitterness or anger in him. He has a thousand questions, but they arise from his inquisitive mind, rather than a bitter spirit. He has seized this moment as an opportunity for learning, and has capitalized on an educational experience he could never get in the classroom. Above all he has learned a lesson on life; it is a gift. Filled with gratitude for every breath, Brennig is looking to the LORD to walk with him through this journey and into a future that only God knows. I’ve written recently about our desire to see Crizotnib on the Pharmaceutical Benefits Scheme (PBS) in Australia as soon as possible. This decision must be made by the Pharmaceutical Benefits Advisory Committee (PBAC) who meet three times each year, in March, July, and November. The PBAC is an independent expert body appointed by the Australian Government. Members include doctors, health professionals, health economists and consumer representatives. Its primary role is to recommend new medicines for listing on the PBS. No new medicine can be listed unless the committee makes a positive recommendation. When recommending a medicine for listing, the PBAC takes into account the medical conditions for which the medicine was registered for use in Australia, its clinical effectiveness, safety and cost-effectiveness (‘value for money’) compared with other treatments. There are real difficulties knowing how to measure cost-effectiveness. The temptation is that a an expensive drug that helps a small number of patients, which is not guaranteed to be curative, will quickly be considered non-cost effective. However, when you factor in that the person or the government might be spending similar sums on other treatment; that the targeted therapy may have better medical outcomes; that it may introduce a much improved quality of life; that it may enable the patient to return to work and not experience the financial and personal costs of joblessness; and more… the equation is not simple. And another important factor, and I do not know if this is considered by the PBAC or not—if a drug enables the person to live an extra six months, or six years, or whatever, with their family, friends, and community, isn’t this worth something. I know it is to me, and my wife, and my children, and my grandchild, and my friends, and my church, and a bunch of others. I’ve recently met up with people from Rare Cancers Australia. They are doing a great work of helping to support people who cannot afford the treatments they need. This month they have launched a campaign called Sick or Treat. Please take a look and see if you might be able to help. Please also watch this clip from the Today Show. Anita has the same cancer and mutation as me, and it is excellent that this is getting publicity. If you feel like lobbying the PBAC, please do. If you pray, please ask God that they will approve this drug and many others like it. This an edited version of a letter my wife, Fiona, sent to support an application to the Therapeutic Goods Association (TGA) to ask them to please put Crizotnib (Xalkori) on the Pharmaceutical Benefits Scheme (PBS). This drug has proven results and yet is virtually unaffordable to all, at $7400 per month. This is not a scientific submission, but more a letter from one family suffering through a family member having ALK+ lung cancer. Whilst the TGA doesn’t court letters of submission from patients, this is an attempt to explain how TGA decisions affect individual families. 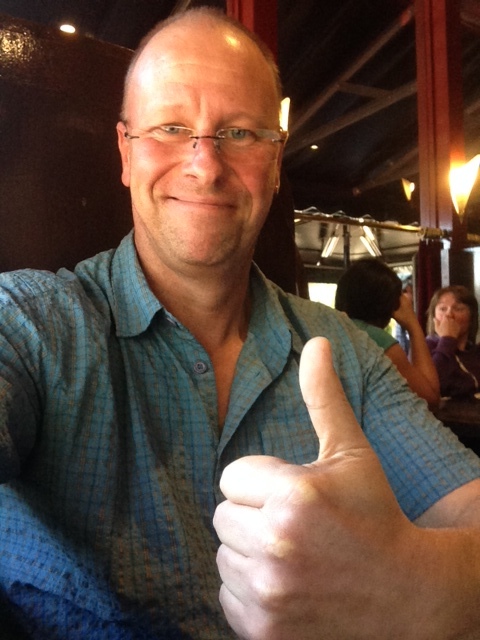 My perfectly well husband presented with a pleural effusion in Dec 11, being diagnosed with ALK+ lung cancer. He missed getting on the Crizotinib trial, because by the time we got the result, he had already received his first cycle of carboplatinum, alimta, and avastin, thus making him ineligible for the trial. I chose this combination over what was being offered by the PBS (and our oncologist) at the time—Carbo/Docetaxel—because international research seemed to suggest it was more effective and had less severe side effects for general lung cancers. My understanding when I spoke to the TGA a couple of years ago, was that the testing for ALK had to be passed by MSAC, with Crizotinib going before PBAC at the same time, before the TGA could consider putting Crizotinib on the PBS. My understanding is that both MSAC and PBAC have again deferred decisions as of Nov 2013. At that point they were struggling to understand who to allow ALK testing for. As a carer for her non-smoking 48 year old Aussie husband it was pretty obvious to me, especially when he came back EGFR negative, that we should ask for and pay for the ALK test. Looking through the ‘ALK+ roll call’ discussions onhttp://www.inspire.com it’s still obvious to me who should get tested for ALK. They are all younger non-smokers, who present late with stage 4 metastatic symptoms, because the original is on the periphery, not in the bronchi like standard smoking cancers. There are also histological features which are more suggestive of ALK—signet ring or acinar histology. Our pathologist noted these on David’s histology, alerting the thoracic surgeon that this was unusual for standard lung cancer, and that maybe there was something else going on. Surely it’s not too hard to offer ALK testing as a priority to patients in this category. I’ve also heard that there’s new testing becoming available, which will be much cheaper, quicker, and give more of an idea as to whom to send for the more expensive testing. Hopefully, this will be commonplace soon. 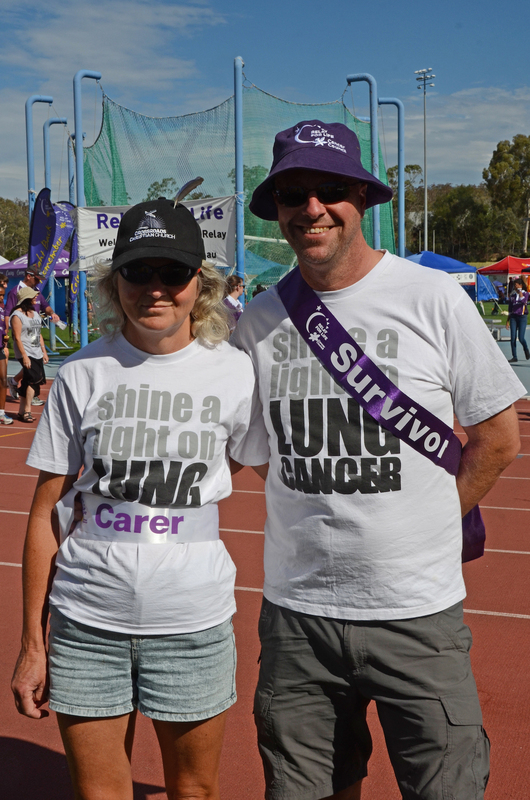 In 2014, about 11550 Australians are expected to be diagnosed with lung cancer. Approximately 15-20%, or roughly 2000 people, will be non-smokers with a genetic mutation. Of these approximately 3-4 %, or 345 people, will be ALK+ in this year alone. The Inspire roll call only found about 10, but obviously not everyone reads or visits http://www.inspire.com, and nor is everyone connected via a clinical trial. We do not know of any other ALK+ patients in Canberra, but then oncologists don’t share patient information. There hasn’t been anyone else with this mutation coming to the lung cancer support group at Canberra Hospital. But then again, how many are being tested, or not tested because of financial reasons? I’ve just referred a younger, unusual, possible lung cancer patient to Canberra Hospital in this last week, and I’ll be willing to find money for him through my workplace or the Eden-Monaro Cancer Support Group, if need be, because he couldn’t necessarily afford the money for testing. As stated earlier, my understanding was that PBS approval for Crizotnib was again deferred in Nov 2013. This seemed more due to semantics than actual proof that Crizotinib did or didn’t work, or the cost-benefits of approval. Even for intelligent people in the medical profession, it is difficult to read and understand the documents deferring approval. To read that PFS has shown ‘statistical improvement’ is hugely exciting. But to read ‘that OS hasn’t been demonstrated’—how does one prove that, except by time and death? As a carer it’s also hard to read the statistics of overall survival and progression free survival without taking it personally. These statistics are talking about the future of my husband. He can’t read them without being overwhelmed, even though he’s been outside the statistics thus far. It shouldn’t be up to the patients and carers to have to trawl through these statistics to prove to the government that life is worth living, that some good quality of life is better than life cut short for lack of funding for medication that works, even if just for a limited time. My husband has responded miraculously to an Alimta/Avastin combo for over 40 cycles, being NED for nearly a year and a half now. These treatments have cost us very large sums of money. Avastin isn’t on the standard guidelines treatment plan and the study on the benefits of adding Avastin to Alimta has not yet been released. Given that this combination has worked for my husband, he continues to endure the physical impact and financial costs until there is definitive proof that it doesn’t help. 1. The demand of 3 weekly cycles is hard. It’s hard for my husband to psyche himself to go to the hospital every 3 weeks to pump poison into his veins, knowing that its going to make him sick for the next week, often spending 3 or 4 days in bed. Not that the following 2 weeks till the next cycle are easy, with fatigue, headache, GIT upset, mouth/tongue ulceration, pain, acne, skin rash, itch, and more. From early on he’s had to add in Cymbalta for peripheral neuropathy, increasing amounts of antihypertensive, pain relief, antinauseants, dexamethasone, folic acid, Vitamin B12 injections, etc. Do they consider the cost effectiveness of paying for medications to deal with the side effects of ‘standard chemo treatment’? There is also the cost of the private chemo ward every 3 weeks. Because Alimta or Avastin weren’t on PBS when he started, all treatment had to be done through a private hospital. How much simpler it would be—physically, mentally, emotionally, financially—if my husband had been able to simply take a Crizotnib tablet twice a day. 2. Unfortunately chemo brain is a real phenomenon too (as is carer’s brain). His memory isn’t as good as it was, and nor is mine. The 3 weekly cycles take a toll on all our family, including the kids. 3. Furthermore, no one can tell us how long one can continue on maintenance therapy. When my husband was diagnosed, it was still being debated as to whether patients shoud go on maintenance therapy, whether it added anything. Fortunately that debate has been won and put to rest. There are some in the USA, in the Inspire network, who’ve been on maintenance for longer than my husband (I think about 5-6 years is the longest). But how long can one continue to use non-targetted therapy, continually killing ordinary, healthy cells every 3 weeks, without doing some permanent harm, perhaps even causing further cancer. There is no answer to that question yet. 4. He’s worked part time since mid 2012, returning to full time work this year. He’s continued to pay taxes since his diagnosis, using sick leave and long service leave until returning to work, paying his taxes at the same rate as prediagnosis. I’ve had to work more, to pay for the chemo, so now I pay even more tax. We have never applied for Centrelink help, or been able to because of our income. I understand that even the Centrelink payments are being tightened up, it has to be proven that you’ll die within 2 years, when all you really want to do is prove them wrong and keep living. Having not asked the government for help with living, are we also to be denied the cost of medication by the same government as we continue both to live and pay for medication, and pay taxes? Has the cost benefit analysis been done on how I and my 4 children would have coped with me as a widow and them fatherless? I’ve been willing to pay the cost of initial chemo and maintenance chemo, as opposed to what the PBS would have given us for free, because I think the cost benefit analysis of having a husband who’s alive has been worth it. But not everyone is as fortunate financially or with such generous friends or workplaces, who’ve supported us through the financial impact. 5. We’ve always been told he could go to Crizotinib once the Alimta/Avastin failed. It’s always been his next step. But it’s extraordinarily expensive, at $7400 month, now it’s off the special access scheme. Suddenly our next step is unsure. 6. Access to trials isn’t a certainty, as we’ve already experienced. Nor is it without cost, as ALK+ Australian patients have moved cities to be able to access the trials in the few major centres that are offering them. Had we gained access to the initial phase 3 Crizotinib trial, we would have had to travel to either Melbourne or Sydney. How can doctors follow recommended international guidelines, if the Australian PBS is still years behind? It’s quite distressing to me to have to be writing this submission in support of Crizotinib, when I wrote a very similar submission (a begging letter really) almost two years ago. Nothing has changed in Australia, in those years. Except more friends, colleagues, patients have died of lung cancer. Lung cancer continues to be one of Australia’s biggest killer. Crizotinib has been approved as first or second line therapy in so many countries throughout the world. It is normal in other countries, but for some reason we continue to drag the chain on best-practice care. In the USA the FDA has now approved the second generation targetted therapies for ALK+ patients ,both as initial and as second line treatments. We haven’t even got the first generation treatment approved as yet. It is so frustrating that Australia is lagging so far behind. Bureaucracy seems to be holding us back unnecessarily. The irony is that Australians have been been benefitting from Crizotinib, at least since the phase 3 trial initiated in 2011. Pfizer have been generously supplying both patients on the trials, and allowing patients to access the medication via the special access scheme until 30/6/14, when such access ceased. Since that date, there have been at least two patients who’ve signed up to the Inspire Australian roll call for ALK+ patients who are struggling to how they can possibly afford $7, 400 per month. We should not be a country that only provides quality health care to the wealthy. It’s enough being confronted with advanced lung cancer at a young age, let alone being faced with an unaffordable financial bill. How many more people are either not being tested or not being treated because of financially prohibitive costs? We can’t blame the drug company for trying to recoup some of their costs, when the Australian government has benefitted from their provision of the drug via trials and a special access scheme for two and a half years. With the new trials investigating LDK378 initiation in both Crizotinib resistant and naïve patients in Australia, isn’t it time that Crizotinib is given government recognition for it’s important place in the treatment pathways? 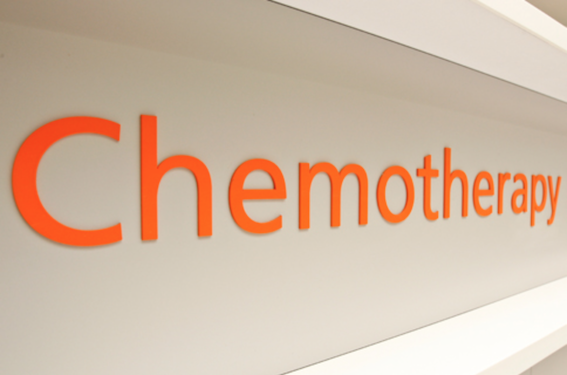 Chemotherapy isn’t a one size fits all. As proven, Alimta/Avastin chemo has been a God-given, proven-thus-far combination for my husband. But it hasn’t worked for others. Crizotinib has worked amazingly for some, but some have had resistance develop fairly quickly. The second generation targeted drugs will no doubt have similar success and failure stories. But that doesn’t mean people should be denied access to them if they can’t afford to obtain them privately. What is obvious was that the older, cheaper drugs like Docetaxel were failures in PFS, OS, quality of life and every parameter you can think to measure them by, but they’re still held up as the ‘gold standard’ of treatment, by which to compare newer medications which aren’t designed to act it the same way, so shouldn’t be compared. This is ludicrous. I hope this helps the application for Crizotnib to be place on the PBS. I love what this man and these people are doing. He has my cancer, my mutation, and my needs for affordable treatments. Many need this drug more than me, and have no possible means to afford it. We need the Pharmaceutical Benefits Scheme to support people who would benefit so much by this drug Xalkori (Crizotnib) targeted therapy. Currently it costs around $90,000 per year. Please click on the image above to watch, and then share this hope-filled video with others. Yesterday I went to hospital for my mid-fortieth chemotherapy treatment. It’s been a long time I’ve been doing this. You know I don’t look forward to it and yesterday was no different. Well, actually it was. I’ve been fighting tooth and jaw pains each day for the past week. It seems that hot and cold foods and chewing set off the pain—and the pain has been extreme. I’ve had to buy two boxes of paracetamol. If only all my drugs were only 4c a tablet instead of $120 a tablet! I arrived at hospital feeling a little under the weather. Each time I have chemo they test my blood pressure, review blood tests for white cell count and other things, and test my urine for protein. Everything needs to be right for me to proceed. The truth is things are never totally ‘right’ but nothing so far has prevented me from having chemo—until yesterday. My protein count was much too high, my blood pressure was up, and they were wondering about the tooth situation. So after ringing the oncologist, I was informed that I would be given the Alimta, but I could not have the Avastin. It seems my kidneys need a break from the Avastin, and they were concerned that my teeth scenario might not improve if I was on the drug. It was a little strange not being able to have Avastin. I didn’t mind the whole experience being over in half the time. But it was another reminder that I’m a patient, that I’m being treated for cancer, that the drugs are extremely powerful with potentially harmful and irreversible side effects. I’m praying that the kidneys and protein in the urine situation will settle down, that there won’t be enduring damage to my kidneys, and that whatever treatment I am able to receive does it’s job of keeping the cancer at bay. I had scans again yesterday— a CT scan of my chest and abdomen. It was easy. Drink a couple of bottles of contrast, strip to my undies, lie on a movable platform, hold my breath, and pass through the nuclear donut! Then off for a coffee and breakfast. This time there was no scanxiety. I slept well the night before and didn’t worry about chasing my results immediately afterwards. Why was this? Is it just that I’ve grown so used to the multiple procedures? No—if anything, my anxiety with chemo has grown worse over time. Is it that I presumed the results would be good? No—I prayed, and asked others to pray, that there would be no evidence of cancer this time round. But I had also thought about what we’d need to do if the results showed regrowth or metastases. I know what it is to be very ill, and I know what it is to be healthy. I have learned (and am learning) the secret of contentment, in any and every situation, whether good scan results or bad, whether living with cancer or without. I can do all this through him who gives me strength. No change, still NED, no evidence of disease. I’ve been NED for nearly twelve months. Praise God! 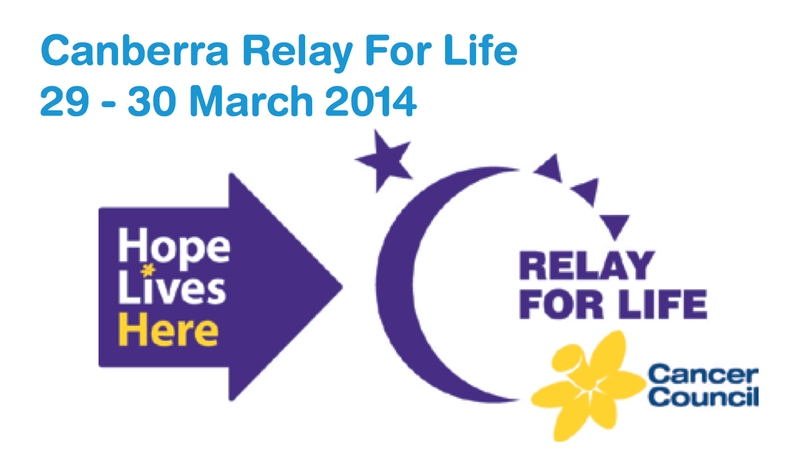 The Cancer Council exists to offer people hope in circumstances where hope is so easily extinguished. They channel money into research, education, support, resources, help lines, and more. They help to connect people with others on the same difficult journey. And I applaud the hard-working team at Cancer Council ACT for this. Hope is a word that has come to mean so much more to me over the past 28 months. I’ve found hope in my family and friends, the incredible advances of modern medical science, the care of oncology support staff, an improved lifestyle, a renewed attitude, and so much more. My hope has been realised in so many ways—both practical and present. But most of all, I have been able to rejoice in the unfathomable hope that comes through what happened that first ever Easter. My hope—I believe rational and considered—is a hope in resurrection. This weekend I’m so excited to be able to share something of all this hope with others at the Relay—to be able to meet people, talk with people, walk with people, share the book with people, and more. I’m amazed really that, God-willing, I will even be there. If you are in Canberra then please pay a visit. It is a fun environment—colourful, music, food, activity—a celebration of life amidst the harsh realities of sickness. I think you will be encouraged by paying a visit, and you’ll likely encourage others by being there.